Hello...........NOW is a perfect time for a new Pomsky Puppy!! We have incredibly CUTE Puppies that are growing and doing great! Check out the "Available Puppies" tab to view. Please see Zoey and Lacey's litters as we have a great mix of Males and Females!! It is time to settle in with a new one.......as No Home is Complete without the Pitter Patter of Puppy Feet!! 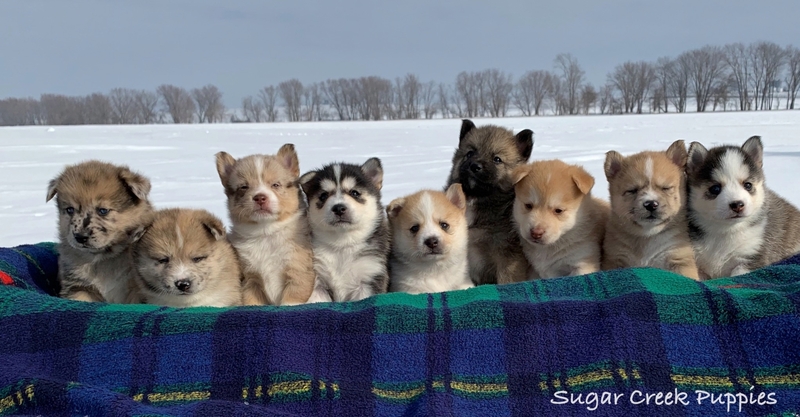 Welcome to Sugar Creek Puppies!! Thanks for visiting our website as we are extremely excited to help you find your new Best Friend. 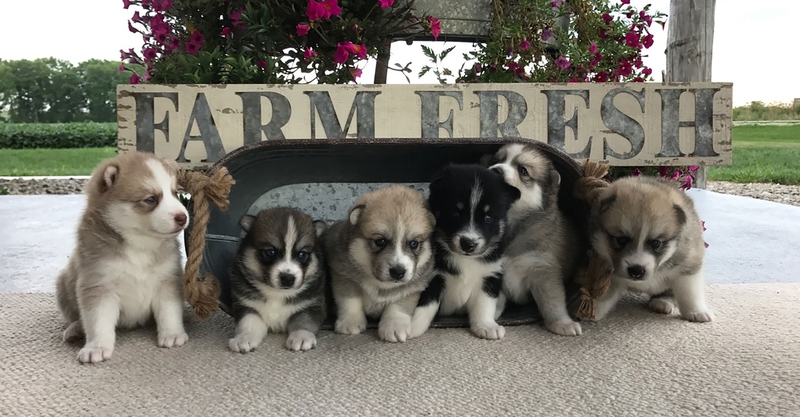 These adorable Pomsky Puppies have their tails wagging with excitement to meet you and we are blessed to be able to spend time with them until they are ready for their new home. 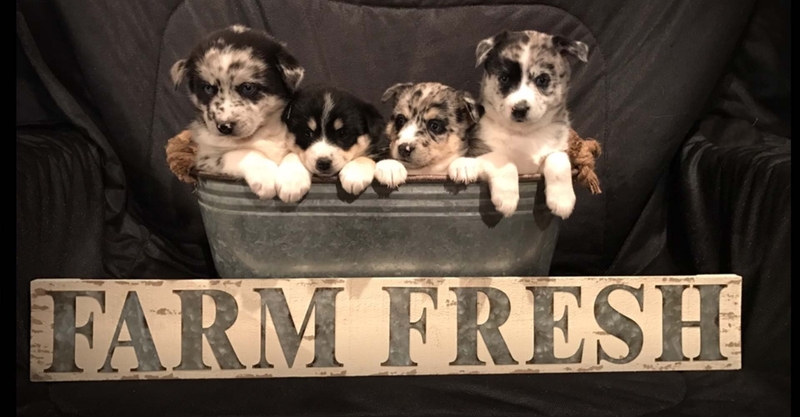 Puppies: From Farm to Home! Our adults dogs are raised from puppies and given the love and care that help them to become the Best mothers for your new Pomsky Puppy. 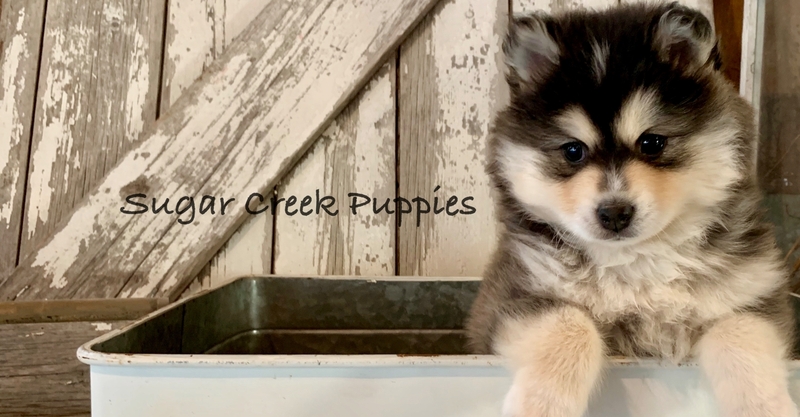 We take great pride in the way we raise our Pomsky Puppies and it is our belief that the Puppies should have great nutrition and be raised in a caring and an extremely clean environment. We spend numerous hours with your new Puppy who receives the attention they need as they grow. 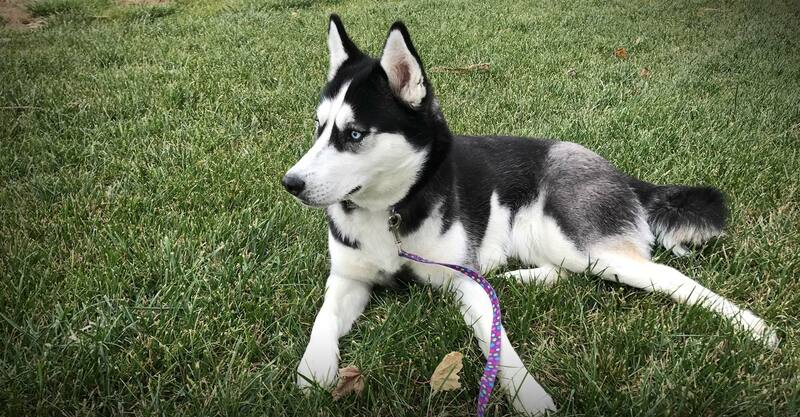 Learn More About Our Breeds!